Harris, Carolyn. "Victor Cavendish, 9th Duke of Devonshire". The Canadian Encyclopedia, 29 March 2019, Historica Canada. https://www.thecanadianencyclopedia.ca/en/article/victor-cavendish-9th-duke-of-devonshire. Accessed 22 April 2019. Victor Christian William Cavendish, 9th Duke of Devonshire, Governor General of Canada (1916–21) and politician (born 31 May 1868 in London, United Kingdom; died 6 May 1938 in Derbyshire, United Kingdom). Devonshire took a strong interest in the development of Canadian agriculture and established the Duke of Devonshire Trophy for the Ottawa Horticultural Society. Victor was the eldest son of Lord Edward Cavendish, a Liberal Unionist Member of Parliament for West Derbyshire, and Emma Elizabeth Lascelles. Edward was the younger son of William Cavendish, 7th Duke of Devonshire, but his older brother, Spencer Cavendish, 8th Duke of Devonshire, remained unmarried until the age of 59 and was childless. Victor was therefore expected to become Duke of Devonshire. He received his secondary education at Eton College and graduated from Trinity College, Cambridge, with a BA in 1891. After completing his degree, he studied accountancy and law in preparation for his roles as a politician and landowner. Upon the death of his father in 1891, the 23-year-old Victor succeeded him unopposed as the representative for West Derbyshire, becoming the youngest British Member of Parliament at the time. He was treasurer of the royal household from 1900 to 1903, and financial secretary to the treasury from 1903 to 1905. He served in the House of Commons until 1908, when he succeeded his uncle as Duke of Devonshire and took his seat in the House of Lords. 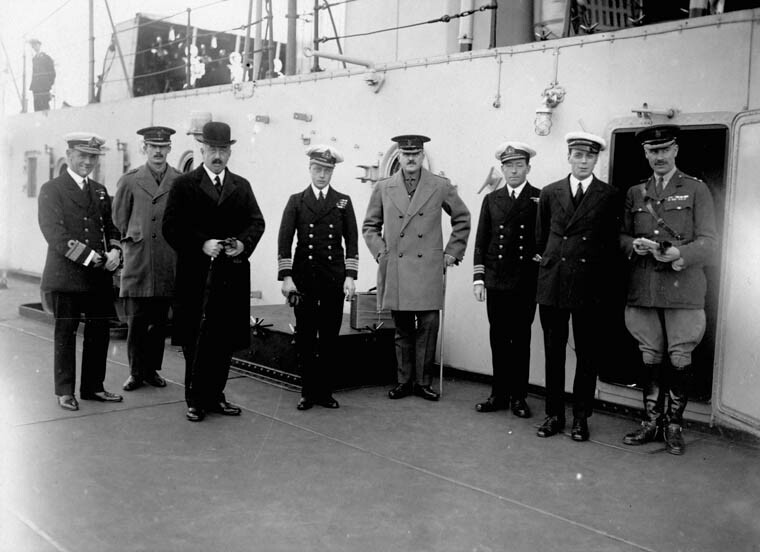 During the First World War, he served as Civil Lord of the Admiralty from 1915 to 1916. On 30 July 1892, Victor married Lady Evelyn Petty-Fitzmaurice, the elder daughter of Henry Petty-Fitzmaurice, 5th Marquess of Lansdowne, Governor General of Canada from 1883 to 1889, and Lady Maud Hamilton. The couple had seven children: Edward, Lord Hartington (later the 10th Duke of Devonshire) (1895–1950), Maud (1896–1975), Blanche (1898–1987), Dorothy (1900–66), Rachel (1902–77), Charles (1905–44) and Anne (1909–81). The six younger children accompanied their parents to Canada. During the family’s time in Canada, Charles was educated at Ashbury College in Ottawa while his sisters were tutored at home by governesses. Rachel became an accomplished skater and competed in figure skating competitions at the Minto Skating Club in Ottawa. 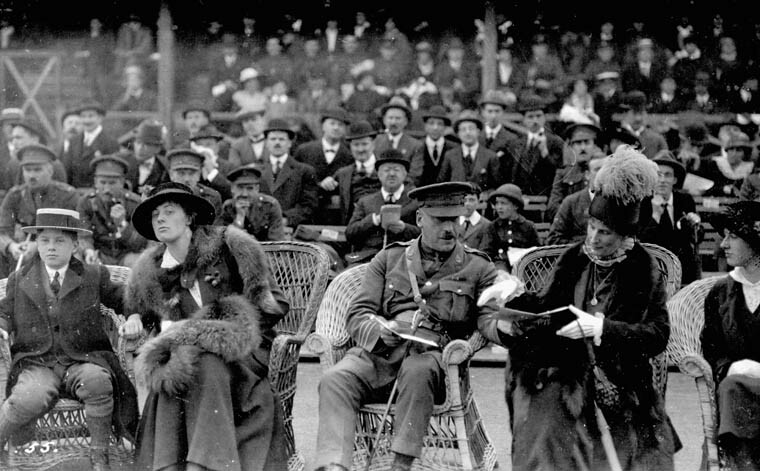 Spectators, including the Duke and Duchess of Devonshire, at a baseball game between the Epsom Canadians and London Americans in London, England (September 1916). Thousands of spectators watched as the team from the Canadian Convalescent Home in Epsom defeated the American team, which was composed of Americans who lived and worked in the city. The teams were part of the Military Baseball League established during the First World War. H.R.H. 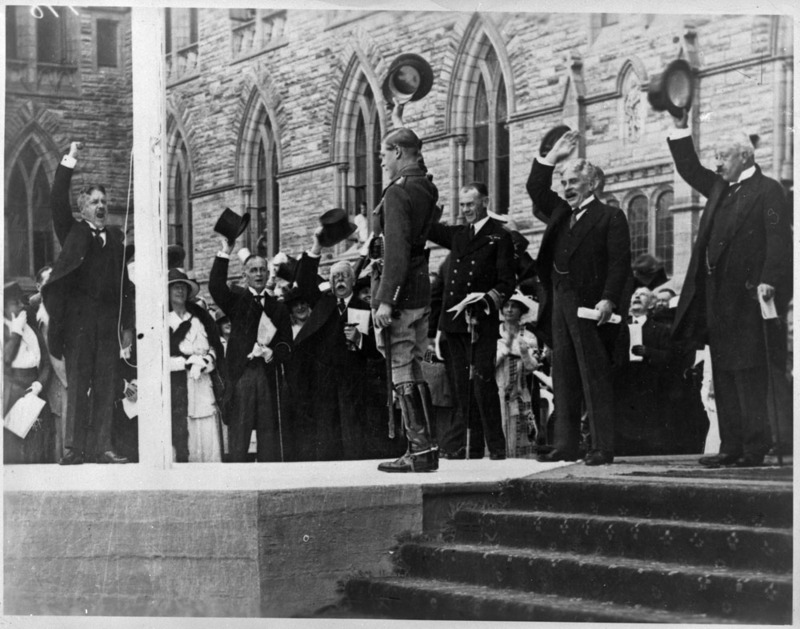 The Prince of Wales (the future King Edward VIII) laying the cornerstone of the Peace Tower in Ottawa, Ontario, on 1 September 1919. 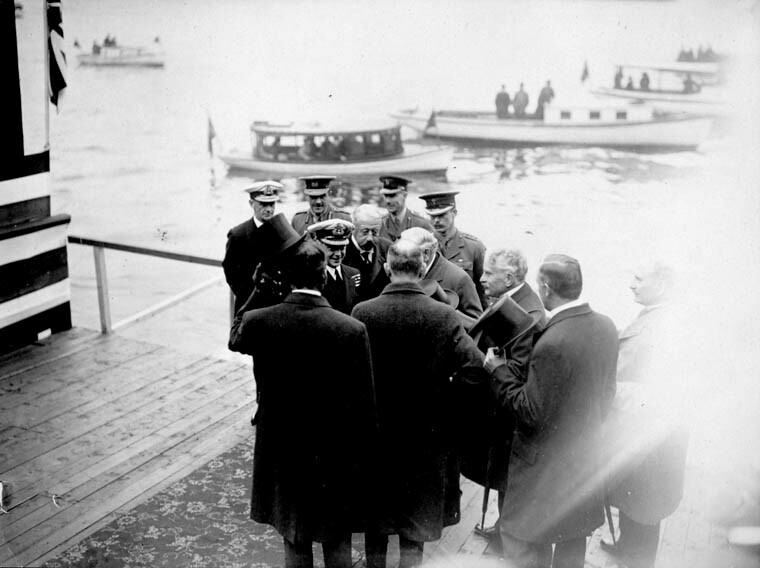 Prime Minister Robert Borden and the Duke of Devonshire, Governor General of Canada, are also pictured. 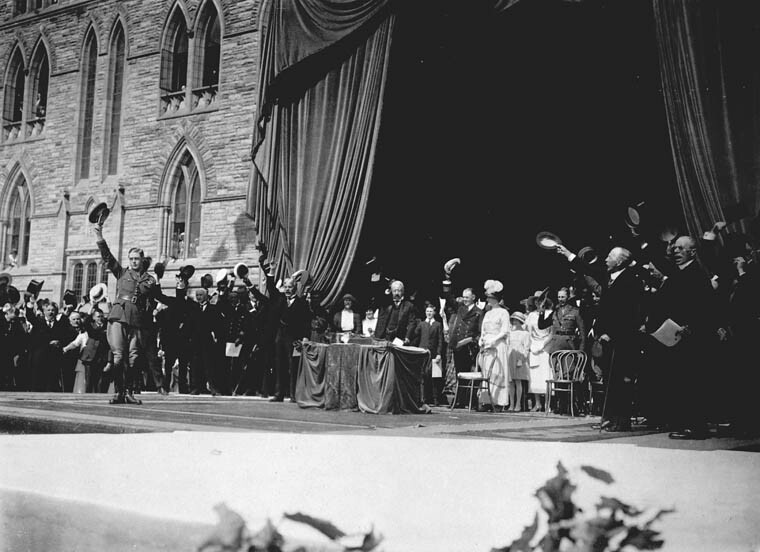 A crowd cheers His Majesty the King in Ottawa, Ontario on 1 September 1919. Dignitaries included H.R.H. The Prince of Wales (the future King Edward VIII), Prime Minister Robert Borden and the Duke of Devonshire, Governor General of Canada. 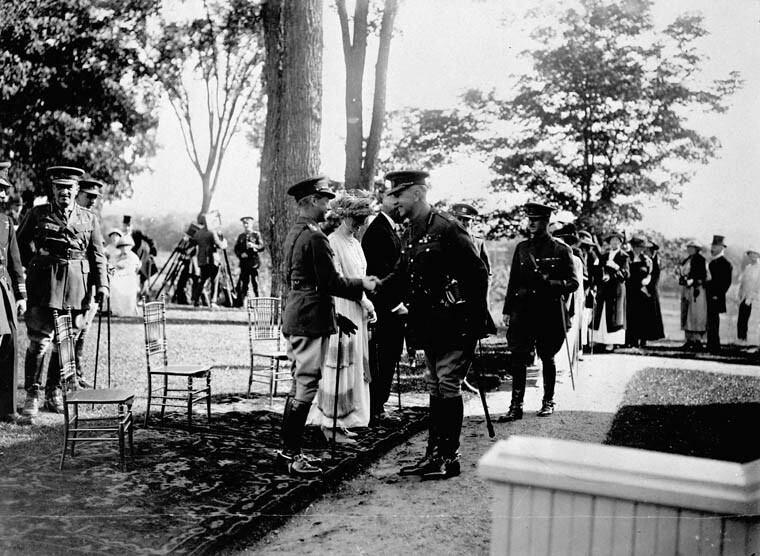 A garden party at Government House in Ottawa, Ontario (August 1919). H.R.H. 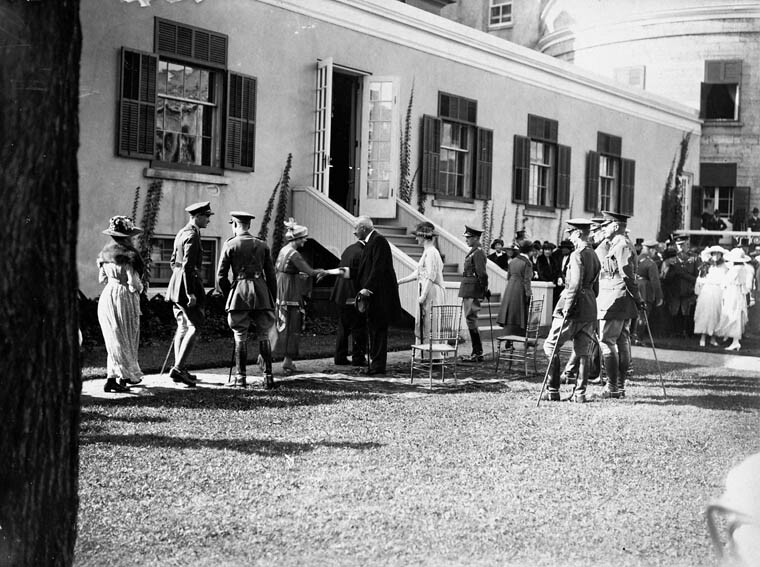 the Prince of Wales (future King Edward VIII) greets General Arthur Currie at Government House in Ottawa, Ontario (August or September 1919). H.R.H. 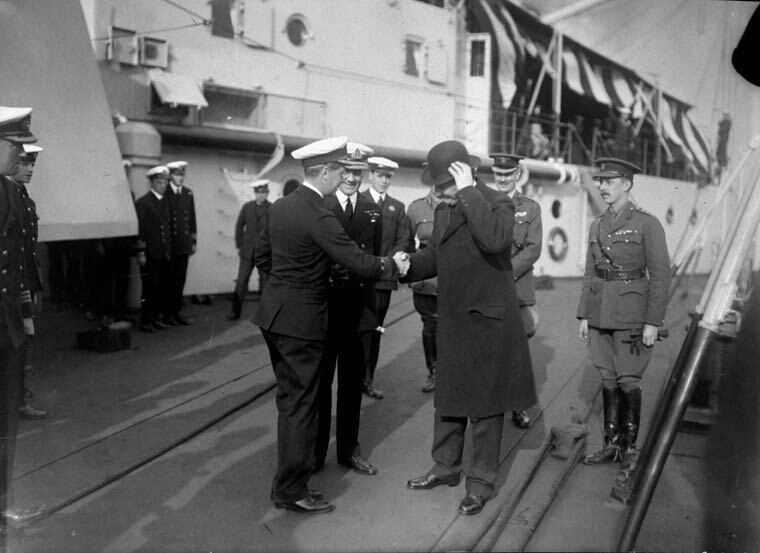 the Prince of Wales arriving at Saint John, New Brunswick, on 15 August 1919. The Duke and Duchess of Devonshire had a warm friendship with the British Ambassador to the United States, Cecil Spring-Rice, whose wife, Florence Lascelles, was Devonshire’s cousin. 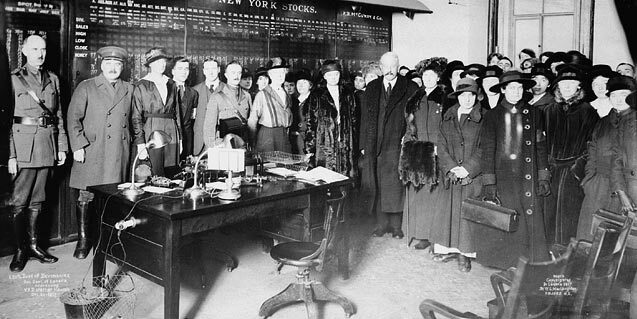 The Devonshires visited the United States in 1918, meeting with President Woodrow Wilson at the White House. 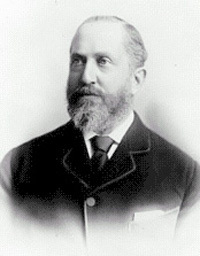 During Devonshire’s time as Governor General, Borden requested the appointment of a Canadian representative in Washington to represent Canada’s specific interests. Devonshire expressed cautious support for the proposal, suggesting that a Canadian representative could be attached to the British embassy. However, he was relieved when Spring-Rice found a diplomatic means to end the discussion by noting the difficulty securing a suitable residence for the proposed representative. In 1920, Borden resigned as Prime Minister for health reasons and was succeeded by Arthur Meighen. 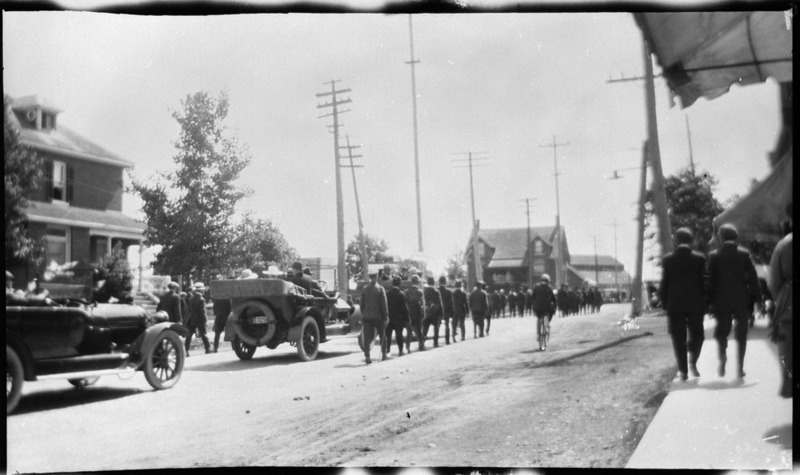 Although Harold Macmillan, Devonshire’s son-in-law, admired how “firmly and effectively” Meighen had responded to the Winnipeg General Strike in 1919 while Borden represented Canada at the Paris Peace Conferences, Devonshire thought Meighen seemed “a little overwhelmed” by his responsibilities. The Duke of Devonshire, Governor General of Canada, addressing members of the Volunteer Aid Detachment (VAD) of the St. John Ambulance, after the Halifax Explosion (21 December 1917, Halifax, Nova Scotia). Devonshire traveled extensively in Canada during his term as Governor General, undertaking two official tours	of western Canada, three tours of eastern Canada, including a 1917 visit to Halifax to inspect the damage following the Halifax explosion, and frequent tours of Ontario and Quebec. In Ottawa, Devonshire enjoyed attending hockey games and performances of the Ottawa Symphony Orchestra and Ottawa Choral Society. Devonshire especially enjoyed spending time in Quebec City, observing “a very great charm about the place,” and spent long periods at La Citadelle, his official residence there. Devonshire purchased a summer home at Blue Sea Lake in the Gatineau Hills where his family enjoyed canoeing and swimming. Devonshire was a nervous public speaker and especially dreaded making speeches in French. His daughter Maud wrote to her grandmother of his careful rehearsals of his French speeches to improve his pronunciation. Devonshire took a strong interest in Canadian agriculture and enjoyed speaking with farmers across Canada. His own agricultural accomplishments as one of the most prominent landowners in the United Kingdom were recognized in the Canadian press. The Toronto Globe reported on Devonshire’s 1916 visit to the Ontario Agricultural College (now the University of Guelph), “It would have done the farmers of Canada good to see the way he judged a beast. Not a point was lost. Shorthorns at the college particularly interested him. He himself is a well-known breeder of that favourite English show stock…and has many a blue ribbon which his cattle have brought in.” Devonshire encouraged the development of experimental farms such as the Government of Canada’s experimental farm	outside Ottawa and encouraged Canada to assume a leadership role in global agricultural research. As Governor General, Devonshire acted as mediator between the British and Canadian governments concerning the question of whether British titles and honours should be bestowed on Canadians. In 1918, Borden established a committee of the Privy Council to draw up an Order-in-Council proscribing hereditary titles as well as honours granted without the approval of the Canadian Prime Minister (with the exception of honours for military service). Devonshire received the Order-in-Council for approval and agreed with Borden that new hereditary titles were out of place in Canada, noting, “I believe there is strong feeling against creating such in Canada,” but offered no comment concerning whether existing hereditary titles should be eliminated. The controversy placed Devonshire in a difficult situation as he saw both sides of the issue, defending increased Canadian jurisdiction over honours and titles as well as the royal prerogative throughout the British Empire. Devonshire wrote to the Colonial Secretary, “The [Order-in-Council] is partly designed to anticipate the introduction of a Bill by a private member [the Nickle Resolution of 1919] abolishing all titular honours. Present situation has been aggravated by honours recently granted to persons recommended from outside sources. 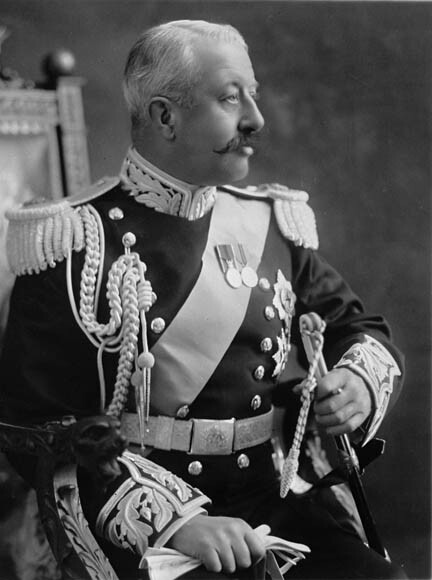 I am of the opinion that the proposals of the minute in council should be accepted and thereby avert more drastic change.” Devonshire also wrote to King George V to explain that “the last thing which is intended is any lack of respect for Your Majesty.” The Order-in-Council and the subsequent Nickle Resolution	brought an end to the King conferring honours on Canadian civilians for a decade and set precedents for the eventual development of a Canadian honours system. Devonshire suffered a paralytic stroke in 1925. According to his grandson, Andrew Cavendish, 11th Duke of Devonshire, the stroke changed his personality from “an easy-going, ironic, laconic man” to “one that was bad-tempered and difficult to get along with” and unwilling to speak directly with his wife, relaying messages by means of her secretary. He died at Chatsworth House in 1938. Devonshire was the last Governor General of Canada appointed without consultation with the Canadian government. The controversy surrounding his appointment meant that his successor, Viscount Byng, was chosen in consultation with Meighen. In 1918, Devonshire donated the Devonshire Cup to the newly formed Canadian Seniors’ Golf Association. In 1921, he donated the Duke of Devonshire Trophy to the Ottawa Horticultural Society, which is awarded to the highest scoring exhibitor in the decorative classes. There is a public school in Ottawa named for Devonshire. Sir Victor Christian William Cavendish, 9th Duke of DevonshireA profile of Canada’s Governor General from 1916 – 1921 from the Governor General of Canada website.